“Surround yourself with good people” is George Papadopoulos’ secret to success. In 1954 when 19-year-old Dimitris Papadopoulos left his small village in Katerini together with his heavily pregnant wife Sophia, with just a suitcase in hand and speaking not one word of English, he would never have envisaged that in the years to come, his youngest son, George, would grow up to become one of the people shaping the media industry in Australia. George Papadopoulos has been doing exactly that for the past decades, most recently with his newly launched venture, Adfomo. But even he himself could not have imagined his life’s trajectory when he was young. So, after graduating with a Masters in Engineering and International Business, he went on to work nine different jobs in a quest to forge his own career path. One of the jobs young George landed was that of audio tape operator, which led to a series of media assignments varying from production, editing, and voiceovers, to newsroom roles, shooting visions and operating transmission towers. Before long, the hard-working young man was assigned to very senior roles within WIN Corporation, the media network with the largest geographial reach in the world, which at the time was averaging $600 million in revenue, operating 37 television stations, employing 2000 staff and producing 480 news stories a day throughout regional Australia. “Back then, regional areas hardly received any attention, therefore our focus at WIN was to respond to our viewers’ requests by delivering programs that met the needs of the people,” says Papadopoulos, who spent a decade working for the regional broadcaster (1998-2008) before heading to the US to set up a two-year media project. 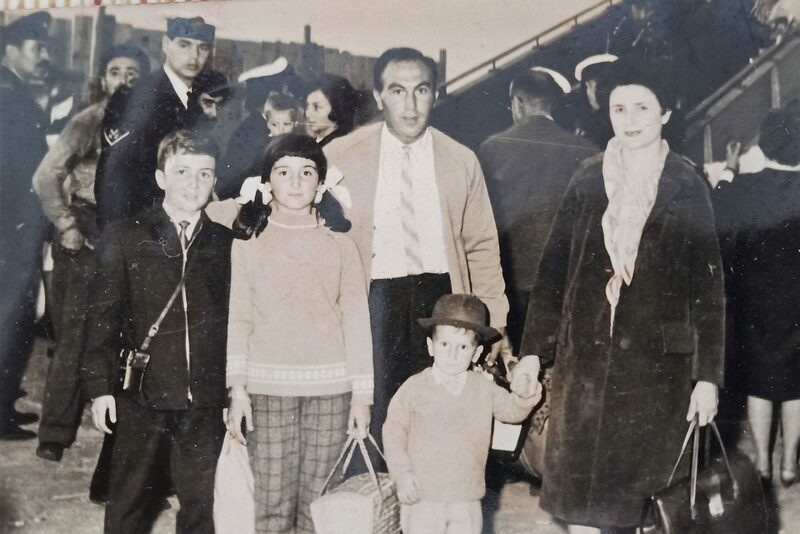 The Papadopoulos family on their way to Greece for the baptism of young George, seen here holding his mother's hand. 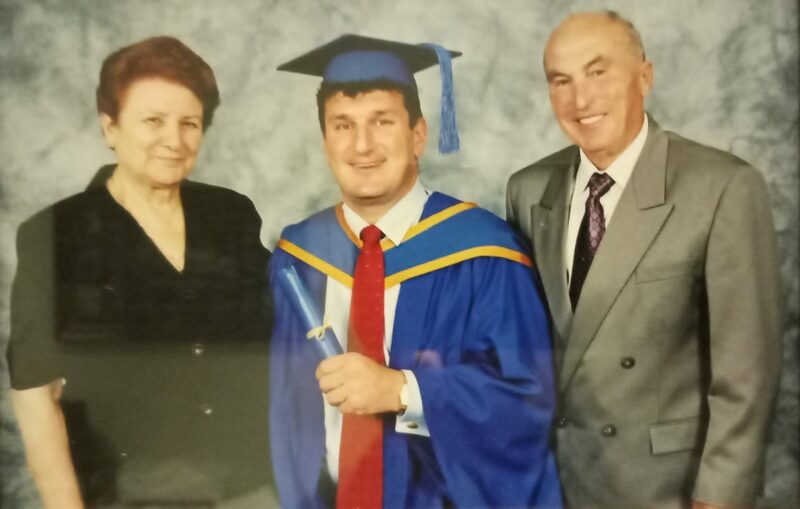 George at his Masters Graduation with his proud parents Sofia and Takis. 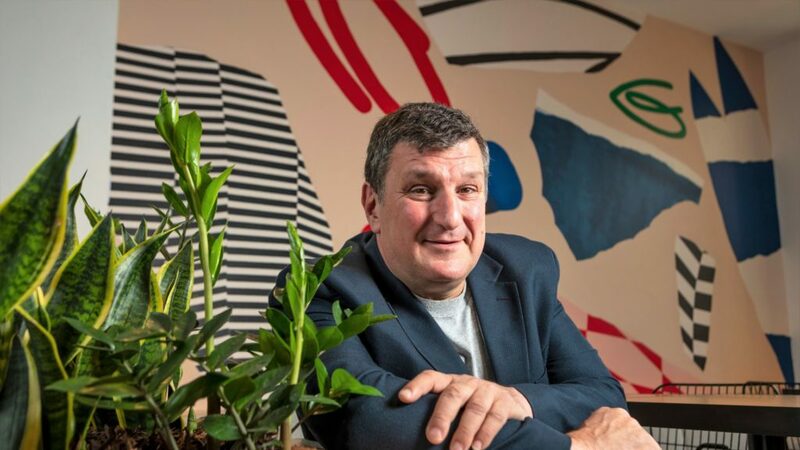 Upon his return, the dynamic entrepreneur joined Australia’s largest home entertainment retailer, JB Hi-Fi where he spent five-and-a-half years building their digital media platform. All this accumulated experience led to the former WIN and Pacific Star Networks chief executive officer creating a new online ad marketplace, Adfomo, which he launched recently, with plans to raise $5 million from investors. The platform took two years to build and it’s a two-sided marketplace for media companies and buyers with an engine that delivers media viable for any business, whether it’s a big corporation or a smaller company, allowing marketers to purchase advertising space quickly and transparently. Adfomo currently boasts inventory from 60 mainstream media brands worth over $40 million with partners including Fairfax Media, Tonic Media and Civic Media with several other media organisations also in the wings. Despite his expressed love for the industry, Papadopoulos admits that media is not for the light-hearted and attributes his personal success back to the people he worked with. “I was blessed with the best teachers in the world who supported and guided me through the good and the hard times, but ultimately the most influential person in my life, my inspiration and my true hero, is my father, who despite coming from humble beginnings and losing his mother at the age of three, remained focused, strong and determined, withstanding the hardships of migration and choosing to live life on his own terms,” says George. 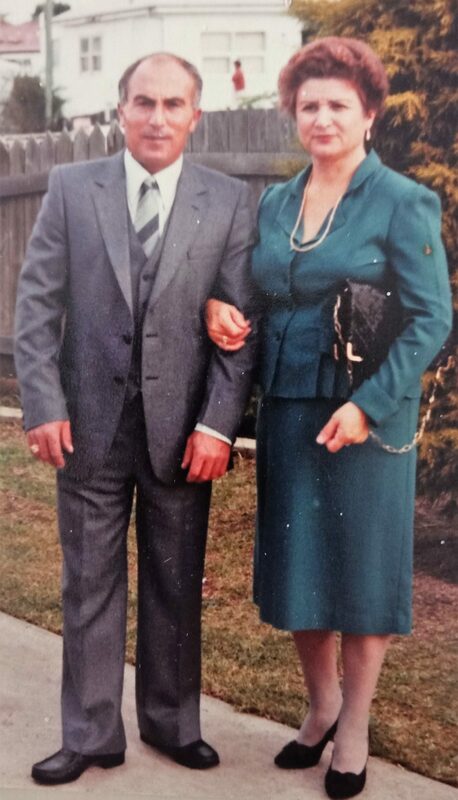 As a 12-year-old boy, his father, Dimitri (Takis) Papadopoulos worked hard at the local bakery in Katerini and grew up to be a very well-liked and respected member of the community. After a night out at the movies, he met a young Greek girl named Sofia and instantly fell in love with her. The very next day he found himself at her doorstep and not long after that night asked her to be his wife. Sofia and Dimitri were only 19 years old when they decided to embark on their journey to Australia. Despite Sophia being heavily pregnant with their first child, the couple still managed to disguise the pregnancy under a long, oversized coat and fly to Australia. They settled in Wollongong, in the Illawarra region of New South Wales, where Dimitri would seek employment at a bakery and the various steelwork operation facilities which operated in the little seaside community. The ambitious young man started working as a crane driver but progressively moved into other roles in the booming building industry. It wasn’t long before he managed to set up his own construction company in the 1960s, always managing to send money back home to his father. Sophia and Dimitri eventually had three children which they raised in a happy, positive and traditional Greek environment. 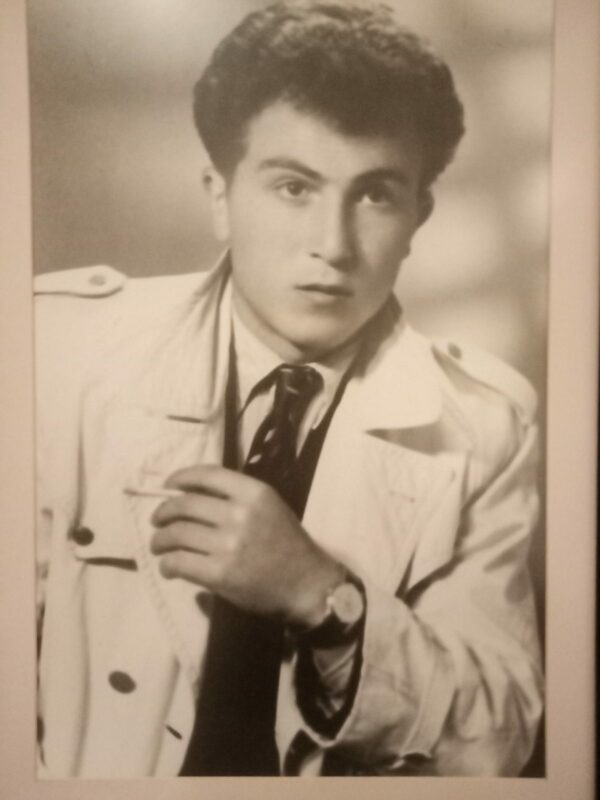 Takis Papadopoulos at 18, before his marriage to Sofia and their migration to Australia. 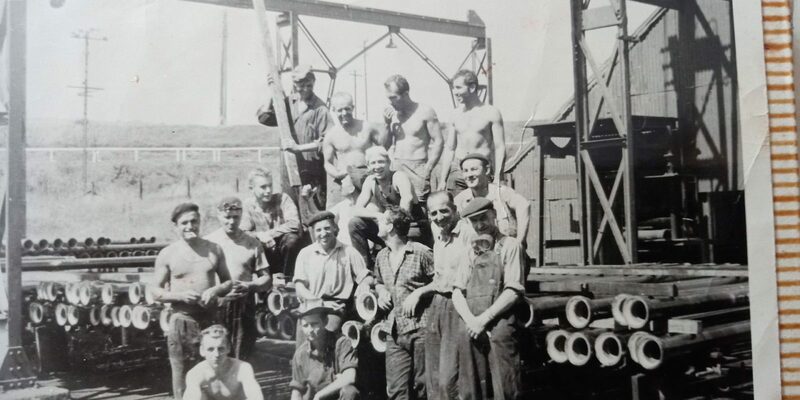 Takis (top row in the middle), during his first days in Australia when he was working at Port Kembla steel works (Spun Pipes). 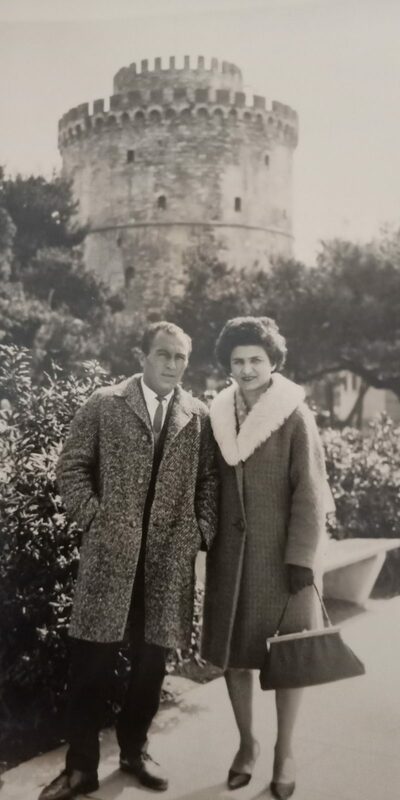 Takis and Sofia in Thessaloniki in 1953. Takis and Sofia in 1974. Although George lost his hero in 2011, it appears that his father’s outlook in life and business is forever etched in his mind. “My father taught me to be humble and kind, to seek knowledge through new experiences and to always surround myself with good people. “There is no secret to success. Just believe in yourself, work hard, go with your gut feeling and success will follow,” he concludes.